"Alois Lageder is a synonym for the highest standard of quality and authenticity, for a sustainable, holistic corporate philosophy in organic-biodynamic viticulture and winemaking, and for a wide spectrum of cultural and artistic activities. 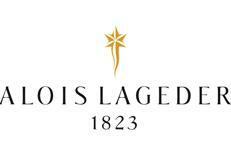 Founded in 1823, and now led by Alois Lageder, the fifth generation of family ownership, the winery combines tradition and innovation. The wines are divided into two assortments: Tenutæ Lageder and Alois Lageder." "Brilliant straw yellow colour with a green tint. Very fine, fruity (apples, peaches), forward varietal aroma. Pronounced, elegant, grapey flavour, light to medium- bodied with a fresh mouth-watering finish. When properly cellared, this wine may be kept for at least 2 - 4 years." James Suckling 92"This is a wine with fabulous slate and honey character plus lemon undertones. Full body, dried citrus fruits and a flavorful finish. This is how pinot grigio should be." Description: "brilliant straw yellow colour with a green tint. Very fine, fruity (apples, peaches), forward varietal aroma. Pronounced, elegant, grapey flavour, light to medium- bo- died with a fresh mouth-watering finish. When properly cellared, this wine may be kept for at least 2 - 4 years.